Source: George W. Baehne, Practical Applications of the Punched Card Method in Colleges and Universities (1935) . The Direct Subtraction Tabulating Accounting Machine, Type 3-S is a multiple subtracting, adding, classifying, and printing machine which automatically produces complete printed reports from punched tabulating cards. It prints classifications, lists details, computes and prints totals, grand totals, and net balances. An automatic control causes the machine to stop at the completion of each data group; the total and group indication are recorded, then the machine clears itself and starts on the next group. An Automated Plugboard eliminates the necessity of plugging the machine just before printing the reports. This type of accounting machine is furnished in three models of various printing capacities -- 4, 5 and 7 printing banks -- all of which list from 75 to 120 cards a minute and tabulate from 75 to 150 cards a minute. It may be equipped with a summary punch. 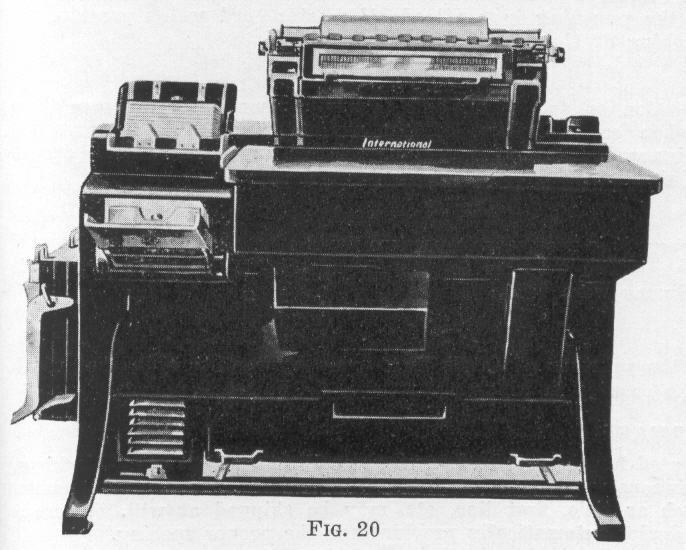 The book is does not specify the model designation, but although it looks different from the 3-S, it also has a removable control panel, which, as far as I know was an innovation with the 3-S, as was direct subtraction. 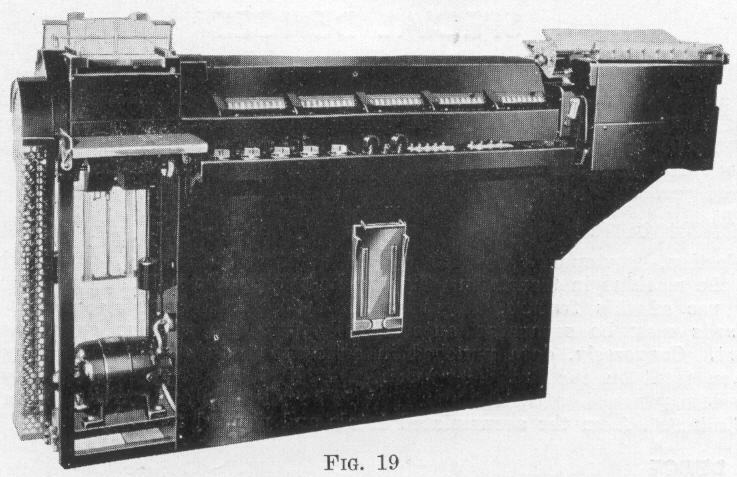 The alphabetic model tabulates at 150 cards per minute and prints at 80 cards per minute.